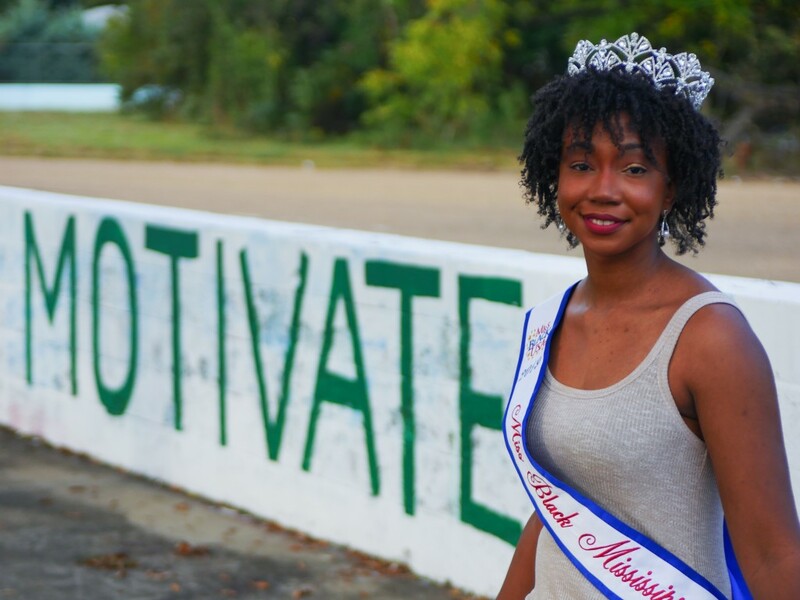 “I’m not a pageant girl,” said Zenovia Lauren-Bradley, which is surprising since she was recently crowned Miss Black Mississippi USA 2019 by the Miss Black Mississippi USA Pageant, a community-driven organization committed to addressing health and education. As a freshman, Lauren-Bradley struggled with grades then switched her major, which meant that she would graduate in five years instead of the anticipated four. So last year, when she saw students posting their commencement pictures, it dampened her spirit. “I decided I wanted to try something completely new, outside of Jackson State’s campus, to prove to myself that I can accomplish something,” she said. Kristy Johnson, a JSU adviser and 2017 Miss Black Mississippi USA, soon became a mentor to the pageant hopeful. “She told me to pick a platform, do some research about what’s important to me, and find the difference I wanted to make in Jackson and Mississippi at large,” said Lauren-Bradley. The aspiring educator revealed that she has dyslexia and received special services during her elementary school years. She then decided to create the platform “Special Indeed” to empower children impacted by learning and/or physical disabilities. “Just because a child has special needs, it doesn’t mean they can’t do X, Y or Z,” she cautioned. In March, Lauren-Bradley submitted a pageant entry application. She then passed the interview process and was named North Hinds County Queen. For six months, the Kansas City native worked in the community, volunteering at JSU’s Kids College and organizing a school supply and hygiene haul for the Mississippi School for the Blind and the Mississippi School for the Deaf. Once a member of the Sonic Boom of the South, Lauren-Bradley played Minnie Ripperton’s “Loving You” on her flute for the talent portion of the competition. She admitted to being nervous because she had publicly botched the performance on two previous occasions. However, the night of the pageant “I got it perfect,” said the 22-year-old. At the end of the evening, and out of seven competitors, Lauren-Bradley was crowned Miss Black Mississippi USA. Disbelief was the word she used to describe her emotions. “Even after I went home, and woke up the next day, it hadn’t sunk in. It took a couple days for me to process it all,” she said matter-of-factly. 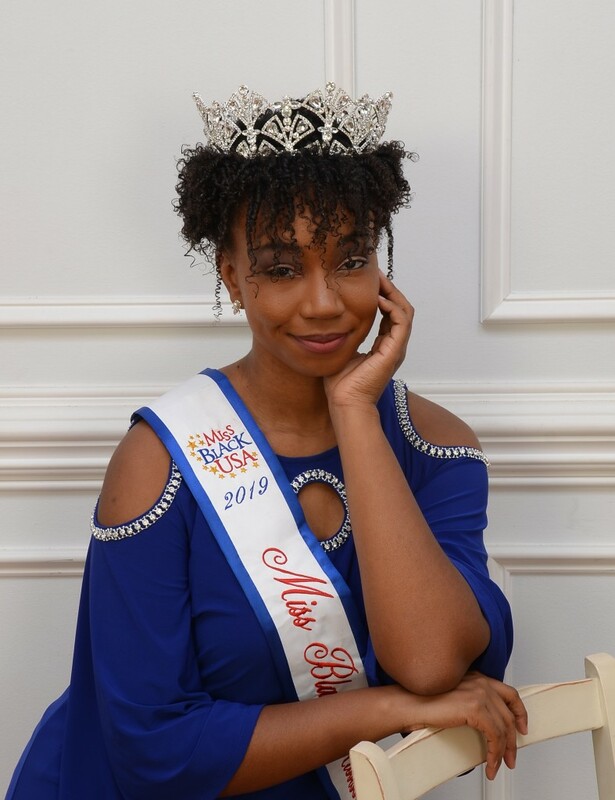 As queen, she received a scholarship package valued at over $4,500 with an all-expense paid trip to compete at the national pageant in Washington D.C. Her duties include community service, volunteerism, exercising her platform to be the best of her ability and, of course, being a role model to youth. Speaking of youth, she remembered the children’s reactions when she wore her sash and crown to visit the first-graders at JSU’s Kids College. “One of the kids yelled out, ‘Oh, wow, Ms. Zoe! You won the crown. You’re the queen of Wakanda now,’ recalled Lauren-Bradley, who added that was the day she realized she loved her work. Aside from her reign, the musician stays busy participating in student organizations like Outspoken, the university’s creative arts collective, and she is also vice president of the Blue Key Honor Society. After her graduation in the spring, she has plans to teach and eventually open an enrichment center for community youth. If anyone had words to live by, it’s Lauren-Bradley who shared her favorite quote by Denzel Washington.